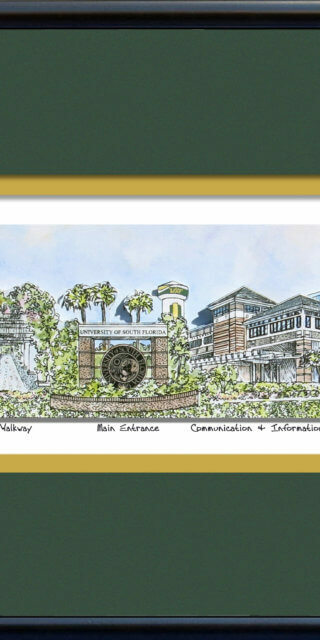 The buildings in the University of Florida scene are the University Auditorium, Centory Tower, Tigert Hall and Green Pond and the Colonnade. The University Auditorium houses the Andrew Anderson Memorial Organ which has 99 ranks and nearly 5400 pipes is one of the largest recital instruments in thee U.S. Century Tower was built on the 100th anniversary of the University of Florida as a tribute to alumni who died in WWI and WWII. Tigert Hall, built in the late 1940’s and 1050’s. Is an historic administrative building. 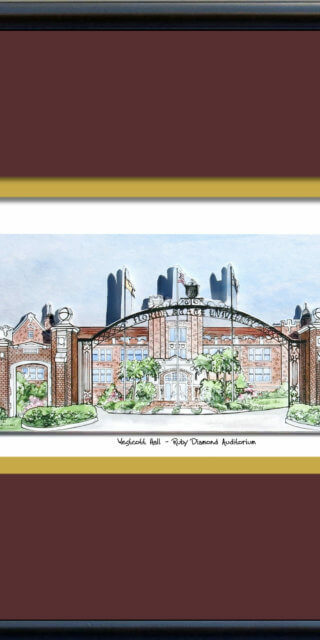 Your school’s artwork is created using archival inks and paper and framed in a high quality, black, metal frame. 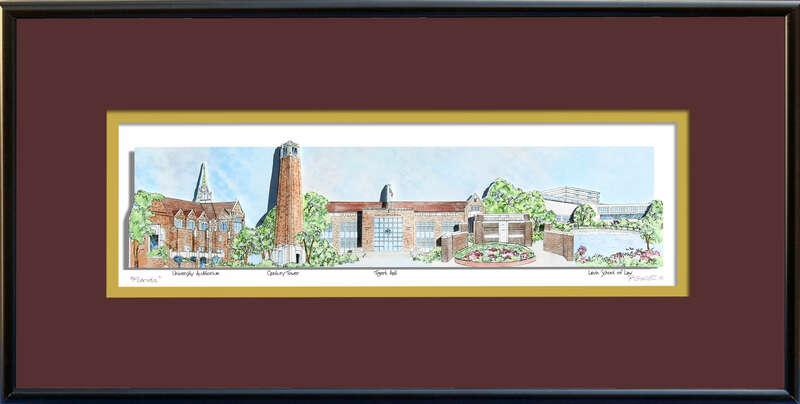 The frame measures 18 inches wide x 9 inches tall.